Are you an aspiring DJ? Or are you a well-established professional DJ with a fully booked calendar? Either way, you’ll need the perfect set of speakers to achieve your ultimate goal: mixing a great set and impressing the audience. Deciding on the ideal set of speakers can be difficult. We want to help simplify your selection so we’ve rounded up 10 of the best DJ speakers for you. 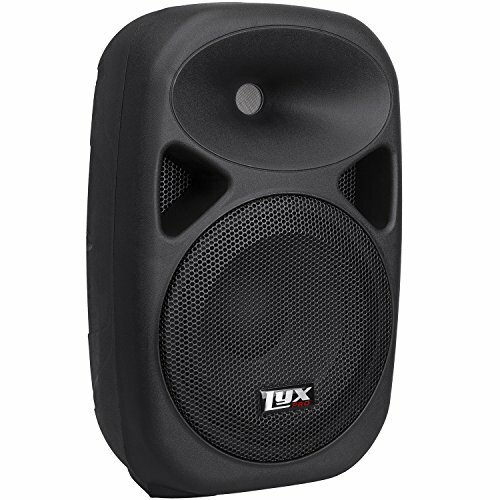 In this article, we will be rounding up the best and most affordable dj speakers for mobile and party Dj’s. 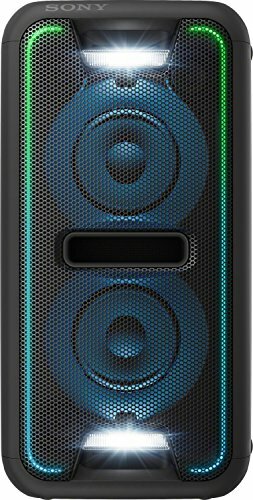 If you are still practicing in your bedroom and getting ready for your first gig, don’t let that discourage you from getting the real dj speakers and growing into them. Throwing house parties and providing the sound, lighting and decks for local events is a great way to make money, get your name out there and start to DJ in front of a crowd. Are you going to be playing in front of larger crowds or will you only be DJ’ing at small functions? 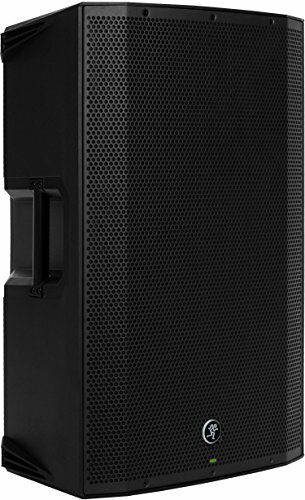 If you’re going to be playing for larger groups and functions you’ll want a speaker with more watts or amps. You can alternatively add a subwoofer when you’re DJ’ing at larger functions. If you’re going to be a professional DJ, you’ll want to spend more on your system. This might mean spending more time to do proper research before you select one, but it might also mean spending more money on a better quality and durable set of speakers. You’ll want to look and sound professional to keep a good reputation in the industry. You’ll be able to find systems that offer a lot of extra features such as light displays or disco balls. This is always a good option if you want to offer clients an all-in-one experience. Most people would prefer extra lighting features at functions such as weddings and parties. It’s also advisable to get a speaker with a Wi-Fi microphone feature if you’ll be DJ’ing at functions and wedding venues. Let’s summarize some of the factors that are worth having a look at before you buy your sound system. Being a DJ means often traveling around to required venues and functions. Your speakers should be portable enough for you to easily move around. If you have a one-man DJ company you’ll need to set up and transport your speakers without any help. Here are a few things to look at regarding the movability of your sound set. Weight Heavy speakers will be hard to lift in and out of your car. Size Smaller systems will fit into any vehicle and will be easier to move around; however, they may still be heavy so be sure to check the weight of small speakers as well. Wheels Try to select a system with portable wheels attached. This will make your setup so much easier. It’ll also prevent unnecessary scratching and damaging of your speaker due to knocks or dragging. Powered vs. Unpowered When you’re buying a sound system you’ll have the option between unpowered or powered speakers. Unpowered speakers Also known as passive speakers will need an external power source or amplifier to be able to work. Powered speakers These speakers already have an amplifier so all you need is a power cable to be able to use these speakers. So which one is the better option? Unpowered speakers tend to lose more than 20% of the power from the amplifier. This is due to the heat it will dissipate. The benefits of owning a passive speaker is that you can easily change or upgrade your amp system. When you have powered speakers you can’t change the amp to a better one to upgrade your system as it’s built in. If you want to upgrade your amp, you’ll have to buy a whole new system. It does, however, reduce your total costs at the end of the day as you don’t need to buy any additional amps. There really isn’t a better or worse option as both of these speaker types have pros and cons. It’ll be up to you which pros you feel outweigh the drawbacks. Below’s a video if you want more information about active speakers. The quality of speakers is something that’s of extreme importance for any DJ. You’ll be traveling with your speakers so you want them to be durable. Quality systems usually offer warranties which is something that can be very handy for DJ’s that are booked for occasions on a regular basis. If something goes wrong it’s easier to get a replacement set. The quality of the speaker sound is just as important. Make sure your system has a well-balanced bass sound and equalizer. If you don’t invest in quality speakers you might end up with distorted sound that won’t improve reputation. If you want to sound professional you should buy a professional sound system. Is it really necessary to spend your last bit of savings on a sound system? Probably not. There are many affordable speakers available that’ll offer you quality sound, durability and even a few extras such as LED displays. You don’t necessarily have to go the most expensive route when you’re investing in a sound system but you do have to do proper research before you buy a cheap speaker. Read customer reviews on all products and test out the sound quality if at all possible. Since you’ll be saving money if you decide on more affordable speakers we’ll advise you to purchase an additional warranty for cheaper designs. Tip: If you’re saving for a specific system, you can always get a cheaper option that you can work with in the meantime. These wireless DJ speakers offer a lot of features to get excited about. You’ll surely bring life to any indoor or outdoor party with the STARQUEEN 12”. The STARQUEEN is the ultimate all in one DJ speaker with LED lights, a disco ball and a rechargeable microphone. You can enjoy 5 hours of music without disruptions thanks to the built-in rechargeable battery. This speaker is perfect for home-welcoming parties and small functions. Entertain up to 200 guests with streamed music from your iPhone or laptop. You don’t have to worry about carrying heavy equipment as the STARQUEEN comes standard with a handle and rolling wheels. Are you hosting a karaoke evening? The adjustable mic priority settings will allow you to sing along to songs and you’ll be able to go back to DJ mode with the press of a button. 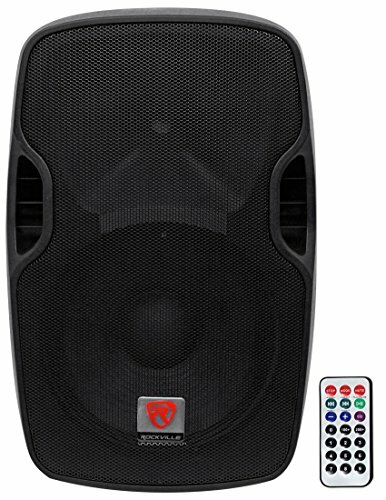 The Rockville BPA12” offers a 32-ft. Bluetooth range. The wireless remote allows you to easily manage settings from a distance. If you want to connect a mixer or a subwoofer you can do so via the XLR line output. The lightweight design has a powerful amp to give you quality bass notes. With 600W this speaker offers high frequency and clear sound. Are you looking for blasting sound? 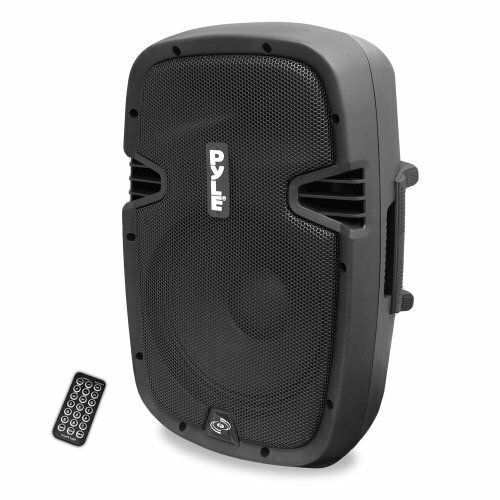 The Pyle system has a built-in self-powered subwoofer. Easily connect this device to your iPod or iPad via Bluetooth. Whether you have an outside or indoor event, the Pyle will be efficient with the adjustable frequency knob. You can connect it to multiple devices and speakers for larger crowds. We love a good bargain, don’t you? This system is affordable and you’ll love the sound balance of this speaker with the equalization processor. The flyable and stand-mounting options allow you to set up your system in different positions at any venue. The blue LED indicators add a detailed touch to the design. There’s a built-in 8” woofer that’ll offer you subtle yet deep bass notes. The internal switch-mode supply allows you to enjoy low distortion. The ultra-low noise mic will ensure a professional sound system for any DJ. This will be the ultimate addition to any house party. It offers five customizable light features. Your audience will enjoy hours of fun with the different colored LED lights display. This speaker is extremely portable and lightweight so you’ll be able to move and install it easily. You can bring the party to any venue with the 6.5” subwoofers. It also has a 1” tweeter for great sound. You can easily connect DJ mixers and more speakers to this system. Adjust the height of the speakers with the steel stands and easily pack it away in the provided carry bag. The built-in bass equalizer will protect your speakers even on the highest volume setting. The build-in 12” woofer will maximize your sound quality. You’ll have options between different setup positions thanks to the mountable brackets that are included. You don’t have to buy any additional input or output cables as they’re all included. The LED lighting this system offers will add the perfect mood to any party. The extra bass will allow you to enjoy each and every beat of the music. 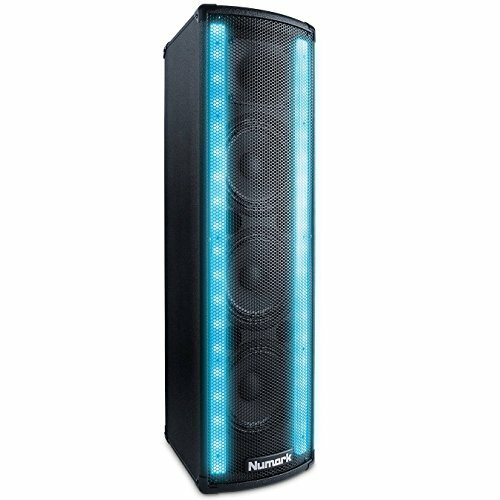 Want to connect the system to more speakers? The party chain feature will allow you to easily add more sound to the party. You can stream your music from any device using Bluetooth. The clear audio function will automatically offer you quality sound settings. You can control and customize all your settings on your Smartphone via the SongPal app Sony offers. This lightweight and compact speaker is extremely portable. The sound system is perfect for smaller functions and venues. It has an 8” woofer for extra sound. The multiple input and output options will allow you to connect your system to microphones, other speakers and more. Control high frequencies with the treble knob and create perfectly balanced sound. The SD card slot is a great addition to this device. This system is a powerhouse! 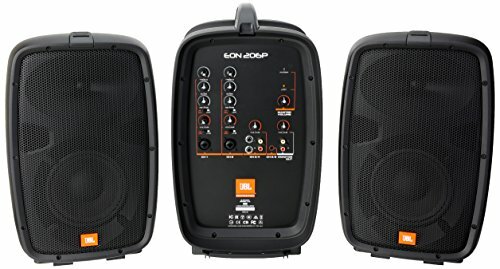 It offers 1300W of ultimate sound. You’ll have booming sound with the bass response technology it offers. The built-in 2-channel mixer makes this one of the top PA speakers for DJ’ing. The design is durable and portable with a side handle. It’ll be a reliable professional addition to any DJ’s gig with a 4 application specific mode. Have you ever experienced the frustration of unstable AC power at a function? The power factor correction feature will avoid embarrassing moments due to power interruptions. If you’re looking for speakers that are great for mixing, then these are it. This system offers you two speakers with 6.5” subwoofers for loud sound. The cable storage will prevent damaging of the cables and tripping over cords. It has a built-in 6-channel powered mixer so you can play your music without limits. Traveling with these speakers are made easy with the soft grip handle design. We’ve given you a summary of 10 of the best PA speakers for DJ’ing and mixing. 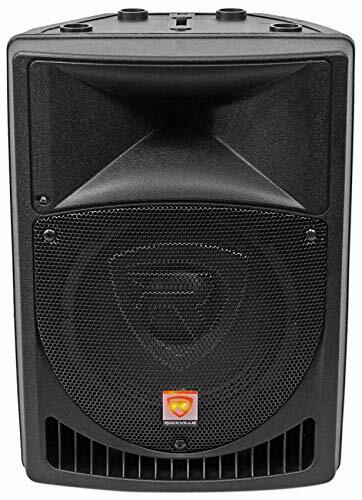 While all these systems will offer you quality sound and many pros, we still have one speaker that’s one of the best investments for any DJ, in our opinion. 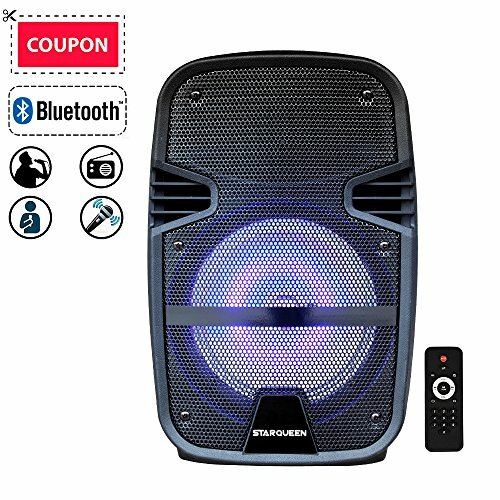 Whether you want cheap DJ speakers for a house party or if you’re looking for the best wireless DJ speakers our number one pick ticks all the important boxes. The STARQUEEN 12” Rechargeable Bluetooth Portable PA Speaker is lightweight and easy to take anywhere with travel wheels and a carry handle. You can use it for small- or medium-sized crowds at indoor or outdoor venues. Extra features such as the lights and disco ball will entertain the crowd while you play quality sound for up to 5 hours without having to plug it into a power source. 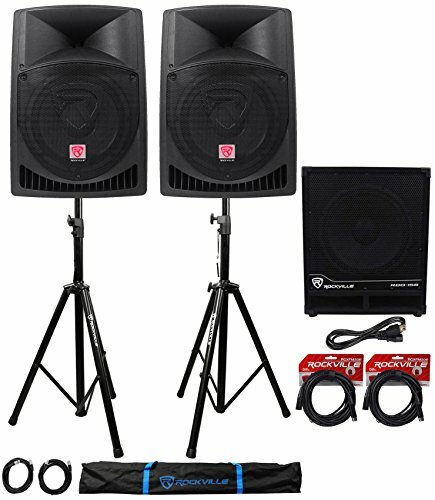 This set of best DJ speakers includes a 1-year warranty to ensure you’ll have a working system when you need it. It’s your long term option it’s a good one.